BOWLING GREEN, Ky.--(BUSINESS WIRE)--Camping World, America���s largest retailer of RV and outdoor supplies and accessories, today announced the opening of three new stores in the Metro Atlanta market including Snellville, Oakwood and Woodstock. Each store is co-located with market leading Camping Time RV, part of the nation���s largest RV dealer network FreedomRoads. The locations, including Snellville at 2912 West Main; Oakwood at 4696 Smithson Blvd and Woodstock at 505 Parkway 575, provide solid coverage of this robust and growing metropolitan market. The largest of the three stores in Snellville boasts 9,200 square feet and the others at 2,900 square feet respectively. The brisk expansion of Camping World is well timed to respond to growing consumer demand as the outlook for the RV and RV supplies and accessories market burgeons, topping lists of US growth industries. A recent study by the University of Michigan���s Survey Research Center found that one in 12 U.S. vehicle-owning households now own an RV. There are now 7.9 million households in the U.S. with a RV. 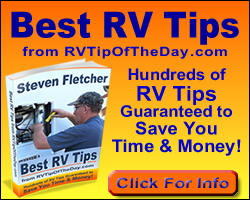 This figure indicates a 58 percent rise in RV ownership since 1980. This study also anticipates similar growth in the future, thus providing the catalyst for additional Camping World stores across the country.